Earn 50,000 points after you spend $4,000 on purchases within the first 3 months. Chase Sapphire Preferred® is heavier than most. Known for its metal makeup and comparative weight, the Chase Sapphire Preferred® card offers one of the best sign-up bonuses on the market. You can earn 50,000 bonus points by spending $4,000 in the first 3 months from opening your account. That’s $625 in rewards if you redeem with Chase Ultimate Rewards®. That could mean a round trip flight, hotel accommodations for a staycation, even eligible Amazon.com purchases. You can also earn another 5,000 bonus points after adding your first authorized user and making your first purchase in the first 3 months from opening your account. 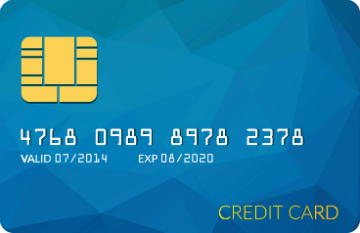 The card also has ongoing rewards and perks that help it stand out from the competition. You earn double the points on travel, like airfare, hotels, taxis, and trains, and dining at restaurants worldwide. You’ll also earn 1 point per dollar on all other purchases. And when you redeem your rewards using the Chase Ultimate Rewards® platform, you get 25% more value on airfare, hotels, car rentals and cruises. The Chase Sapphire Preferred® card is great for reasonably big spenders who travel a lot. By using the Sapphire Preferred® card, you won’t pay any foreign transaction fees on purchases you make outside the United States. Cardholders qualify for 1:1 point transfers within certain frequent travel programs. Airline partners include British Airways Executive Club, United Mileage Plus, Southwest Airlines Rapid Rewards, Virgin Atlantic Flying Club and more and hotel partners are Hyatt Gold Passport, IHG Rewards Club, Marriott Rewards, and Ritz-Carlton Rewards. You can transfer points at a 1 to 1 value with these programs within the Chase system. There are also no blackout dates or travel restrictions. As long as there’s a seat on a flight, you can book it through the Chase Ultimate Rewards® platform. Chase Sapphire Preferred® also features built-in protection. Along with Chase’s standard price protection, purchase protection, return protection, extended warranty protection, and zero liability policy, there are travel protections. If you have to cancel or interrupt a trip due to sickness, severe weather, and other sanctioned situations, you can be reimbursed up to $10,000 per trip for your pre-paid, non-refundable expenses. You also receive auto rental collision damage waiver. The coverage is primary for most rental cars in U.S. and abroad. You can also utilize baggage delay insurance, which reimburses you for the essential purchases like toiletries and clothing, for baggage delays over 6 hours by a passenger carrier for up to $100 a day for 5 days. Plus, if your trip was delayed more than 12 hours or requires an overnight stay, you and your family are covered for necessities like meals and lodging for up to $500 per ticket. The card comes with a $95 annual fee, but you will receive an introductory rate of $0 for the first year. The card also comes with direct access to customer service specialists that are ready to help at anytime, from anywhere in the world. Cash Advance Fee: $10 or 5.0%, whichever is greater.. Annual Fee: $0 intro annual fee for the first year, then $95. Late Payment Fee: Up to $15 if the balance is less than $100; up to $27 if the balance is $100 to less than $250; up to $37 if the balance is greater than $250.